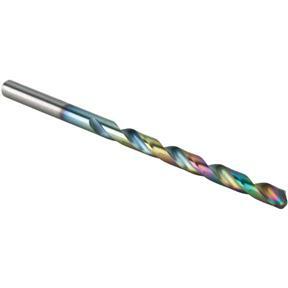 Cobalt Drill Bit - 5/32"
Steelex Plus - Cobalt Drill Bit - 5/32"
This premium Cobalt Drill Bit is engineered to handle high tensile steels and hard-to-machine alloys—and features a 135° split point. Cobalt Alloy bits turn faster without overheating due to their resistance to heat and stress. The 135° split point enables the drill to use less thrust and eliminates the tendency of the drill point to walk, which makes it great for use in portable drills or drill presses. Cobalt Alloy bits also retain their edge sharpness longer than High Speed Steel bits, resulting in a significant saving of time and money in the workshop.